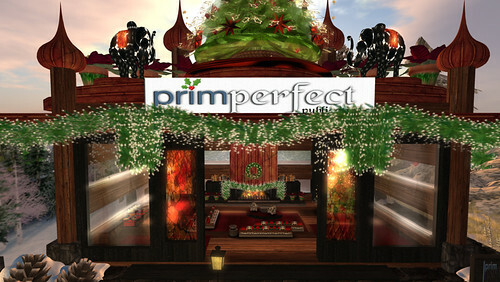 Join the Expo Conversation with Prim Perfect! Following the success of our discussion / interview programmes at the Home and Garden Expo and SL8B, we are planning a further series at the Christmas Expo. Eliza Wierwright has built us a beautiful and very snug dacha, straight out of an enchanting Russian fairytale, and we’ll be hosting as many sessions as possible! We are happy to host talks, presentations, interviews, question and answer sessions. It’s an opportunity for designers to share ideas, for people to meet their favourite creators, for communities to come together and talk about their culture and ideas. We’re very iopen to hosting what YOU want to tell us about! Next Post: Christmas is a-coming – and many stores will help you count down the days!